A big fluffy cloud of alpaca was calling to me the other day, it needed attention! I decided to have a go at making some little punis with it. 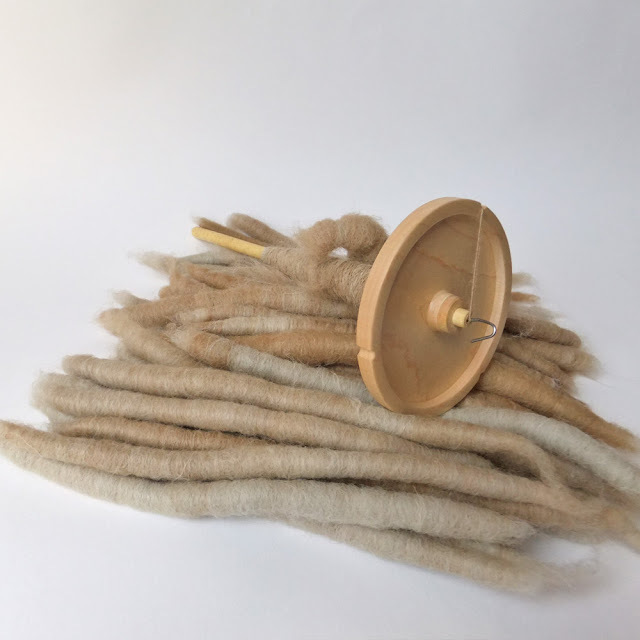 I had a lovely pile of neat little punis which I have been spinning on my lovely new 24 g drop spindle from Michael Williams. What is your favourite prep to spin from? 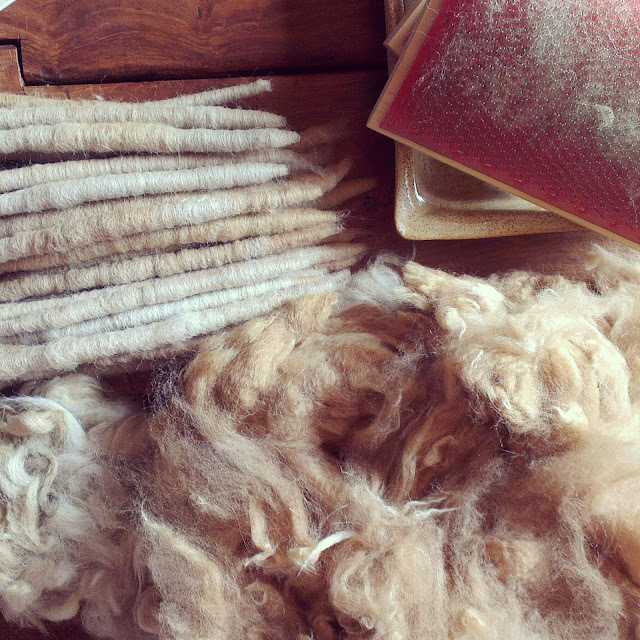 A braid, rolags, batts or punis or, like me, do you you enjoy giving everything a go?